Hitting the gym after a long day helps me focus my thoughts, blow off stress and center myself. 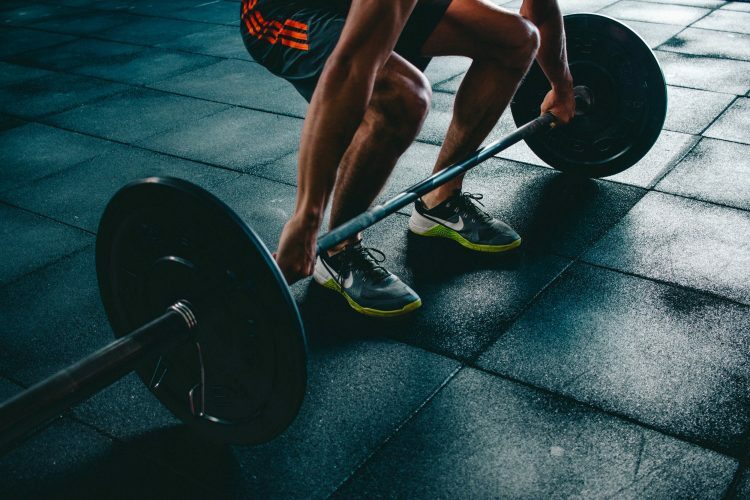 A tough workout is great for both mind and body — however the excess sweat and dirt can cause me to break out with a vengeance if I don't follow a good post-workout skincare routine. To avoid revisiting my teenage years, I keep a bottle of La Roche-Posay face wash permanently stashed in my gym bag. Which got me curious about what other grooming “must-haves” guys keep in their gym dopp kits. Deodorant is a must just in case you forgot to put it on before you left the house. But NO cologne, guys please no cologne in the gym you should smell clean & fresh but not a strong odor that offends fellow gym goers. Beats By Dre Headphones. Nothing like silencing the outside world and listening to your favorite songs, podcast or audiobooks to totally focus on the workout with no distractions. Extra T shirt and towel. No one likes to get back in the car with sweaty clothes on be prepared. Dr. Bronner’s soap is amazing! It gives that tingling fresh feeling during and after the shower. You can also use it for cleaning your clothes and it’s strong enough to clean your house. Great stuff it’s a must have in my gym bag for sure, they also have the toothpaste that is amazing too. line up and beard are tight. I know it sounds like a commercial but that’s so true. You can’t go into a meeting with scraggly hair. I live in nyc what if I run into a business partner, looking good is a must. Cetaphil Gentle Skin Cleanser: I always have my everyday face wash in my bag. I like to quickly to wash my face before or after a workout for a fresh feeling is very important. Especially sometime I am heading to gym after working all day, which I am sure many do! Cetaphil makes one of the most hypoallergenic products out there and does a great job to maintain essential oils on our skin. Also if you are acne prone, you want to make sure you clean your skin after sweating and use a sensitive cleanser like this. I always keep Johnson's Baby Powder With Aloe Vera & Vitamin E in my gym bag. I lift at least once a week and train in MMA (krav maga and brazilian jiu jitsu) at least three times weekly, and I work up a serious sweat. A little bit of baby powder helps me stay fresh during my workout. I typically workout in the morning before going into the office. I try to spruce it up a bit after the workout, so I put on Yves Saint Laurent’s L’homme Deodorant Stick for Men. It’s just a way to not feel savage heading into the office with calloused hands. Also, since I wear a shirt and tie, I typically carry a collapsible hanger for my shirt and dress pants. fresh pair of Tani Underwear for after my workout. I regularly workout at the gym around 6 days per week and have reworked my gym bag preparation process several times over. fresh. More often than not, they leave my hair feeling dried out. The one thing I keep in my gym bag is a roll of Axe deodorant. I feel like the most likely place to actually stink after a workout is under the arms. I like it because it keeps me from stinking until I can take a proper shower.